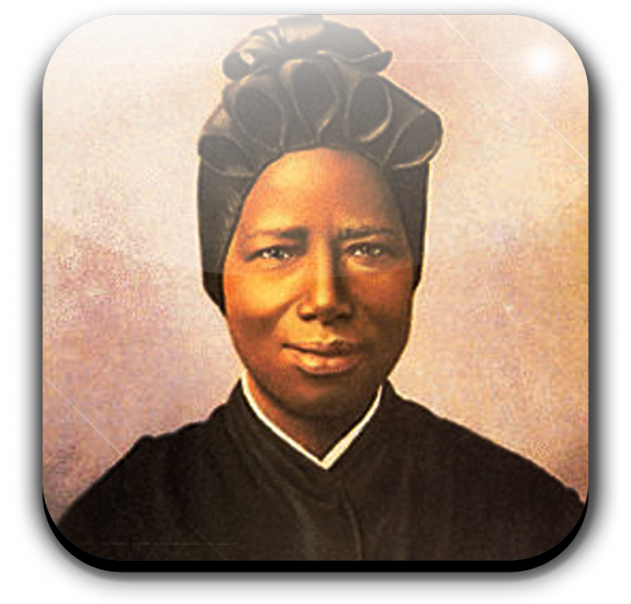 When she was about nine years old, Josephine Bakhita was kidnapped near Darfur, Sudan, by Arab slave traders. For several years she was subjected to brutal and humiliating treatment until she was ransomed and taken to Venice, Italy, where she became a Catholic and a nun. Joyfully and serenely Bakhita served in a convent, school and infirmary run by Canossian sisters in a small, obscure town in northern Italy until her death in 1947. Then something even more remarkable than her redemption happened. Hundreds of ordinary people came to see Bakhita lying in state, and along with these visits came stories about how the simple nun had given comfort, advice and encouragement as she went about her tasks as cook, doorkeeper, nurse, etc. Almost immediately graces and miracles attributed to Bakhita’s intercession began to be reported. Ever since, the place where Bakhita died and the wonders began has been a shrine visited by people from all over the world. They come to seek the intercession of one who was no stranger to loss and suffering and yet had given herself with complete confidence to the Lord. It is here, in this sparsely furnished room, where Italian journalist Roberto Italo Zanini begins his story of Bakhita and her journey from slavery to sainthood. 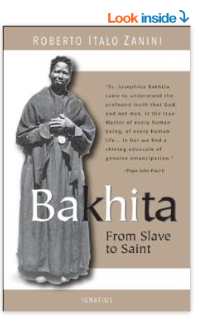 Based on Bakhita’s autobiography, which she dictated to a Canossian sister in obedience to her superior, the canonization files and many other sources, Zanini records the life, virtues and miracles of this daughter of Africa who has become a sister to the whole world. Illustrated with 16 pages of photos. Roberto Italo Zanini is an editor and writer for Avvenire, the daily newspaper of the Italian bishops. His articles have appeared in many Italian publications, both Catholic and nonreligious.